- Date: 02/2014, Seed: $400 k (post valuation: $4000000). 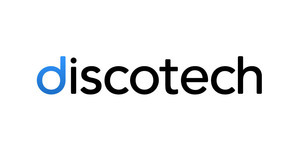 Discotech won the pitch contest at Techweek LA's Pycon Startup Row pitch competition in 2015. Discotech is the OpenTable for Nightlife. Our free to download mobile app allows users to discover events, reserve tables, purchase tickets, and get access to nightlife venues in different cities. Our mission is to bring efficiency and transparency to the grossly outdated nightlife space. Born and raised in Potomac, Maryland. Ian graduated from Berkeley with degrees in IEOR and Business. He started his career as a management consultant at Bain and Co. After Bain, he worked as a Private Equity Associate at The Gores Group. Born and raised in the bay area. UC Berkeley grad. Lived in SF for 5 years, Vegas for 8 months, LA for 3 years. Background in online marketing - SEO, PPC, Affiliate, Email. Started a mobile nightlife app called Discotech. Discotech added a press mention. John Nahm confirmed Discotech as an investment.